We’d love your help. Let us know what’s wrong with this preview of Summer's Crossing by Julie Kagawa. Now Ash has granted one favor too many and someone's come to collect, forcing the prince to a place h A Midsummer's Nightmare? Robin Goodfellow. Puck. Summer Court prankster, King Oberon's right hand, bane of many a faery queen's existence—and secret friend to Prince Ash of the Winter Court. Until one girl's death came between them, and another girl stole both their hearts. To ask other readers questions about Summer's Crossing, please sign up. What was Ash's contract with Leanansidhe about? What did she do for him? It wasn't explained in this book. Much like 'Winter's Passage', 'Summer's Crossing' left me wanting. Another short novella in 'The Iron Fey' series, it takes place following 'The Iron Queen' and before 'The Iron Knight'. This was one of those stories that you want to love but don't, no matter how hard you try. 'Summer's Crossing' surrounds Puck and Ash's adventures as they work together to repay a debt that Ash owes to Leanansidhe. Along the way, Puck is offered what might be considered the opportunity of a lifetime. He has the c Much like 'Winter's Passage', 'Summer's Crossing' left me wanting. Another short novella in 'The Iron Fey' series, it takes place following 'The Iron Queen' and before 'The Iron Knight'. This was one of those stories that you want to love but don't, no matter how hard you try. 'Summer's Crossing' surrounds Puck and Ash's adventures as they work together to repay a debt that Ash owes to Leanansidhe. Along the way, Puck is offered what might be considered the opportunity of a lifetime. He has the chance to eliminate Ash as a rival for Meghan's affections, if only he betrays his one-time best friend. It is definitely a tempting proposition that Oberon offers. As the two work together to complete the required task, I can't say that I ever really questioned what Puck's decision would be...until I did. There was a big twist that I didn't see coming that kind of threw me for a loop. Suddenly, I found myself wondering about Puck's true motives. How far would he go to obtain the object of his affections? In addition to the quest that they set out on, Puck and Ash find unexpected adventures along the way. From bearing their souls to one another, to nearly killing one another in a final attempt to keep a decades-old oath, this novella shed a great deal of light on their strained relationship. Since Meghan has grown into my favorite character in this series, it was disappointing to find her entirely absent in this novella. I understand why she wasn't there... I just didn't like it. In my opinion, the narration was also less appealing in this novella. This was probably due to the fact that this one was told from male POVs vs. Meghan's POV. I'm not sure if it was a different narrator, or if it was the same narrator and I just didn't care for the voices as much this time around. Whatever the reason, the narration didn't pull me into the story and hold my attention like it did for the other books. All in all, 'Summer's Crossing' ended up being an "okay" one for me. It wasn't horrible, but I definitely had plenty of gripes this time around. That being said, I still read the next book in the series immediately. It wasn't enough to turn me away from 'The Iron Fey' saga and I am still dying to know where the story leads. I really loved this one. This time, the story is told by Robin "Puck" Goodfellow. I always loved Robin, he was always the bright side of the story... And everyone keeps ignoring him :(... And this time, we finally find out his real feelings towards Meghan, and it makes me sad that he never even had a chance. Damn, Puck, i just wanna hug you! “Ash sighed. "Don't say anything, Goodfellow." "What? Me?" I grinned at him. "Say something? I'm not the type who would point out that, for once, this absurd situation isn't my fault. Of Course, I know better than to make deals with crazy Exile Queens with goddess complexes. And if I did, I would expect them to call in the favor at the worst possible time. But I'm certainly not one to rub it in. That would just be wrong." Ash pinched the bridge of his nose. "I'm beginning to regret inviting you." "You wound me deeply Prince." “Ash shook his head, but I saw the shadow of a smirk on his face. “You know I'm probably going to kill you soon, right?” he muttered as we headed off into the trees. Okay, so I flew through this. I definitely prefer Puck in third person, being written about through Meghan, but this was awesome. A bit predictable in some ways, but so many millions of types of awesome. I ADORE Puck, and am Team Puck for life. This novella hooked me from the first page. Puck isn't awesome. Puck is GREATER than awesome. Puck doesn't learn from awesome. Awesome learns from Puck. Robin Goodfellow makes Chuck Norris wish he was a faerie. While most fey have nightmares about Chuck Norris, Chuck Norris has nightmares about Robin Goodfellow. I think--wait, I KNOW I love this cover more than Winter's Passage. I'm so excited to finally read this! Puck is so fantastic and adorable and I can hardly wait! I love scenes with Puck and His Royal Iciness! Puck is my favorite character in The Iron Fey series. So you could just imagine my delight when I first heard about this novella. Honestly, I could barely contain my happiness. In this novella Prince "Ice-boy" Ash and Robin "Puck" Goodfellow embark on a new adventure. 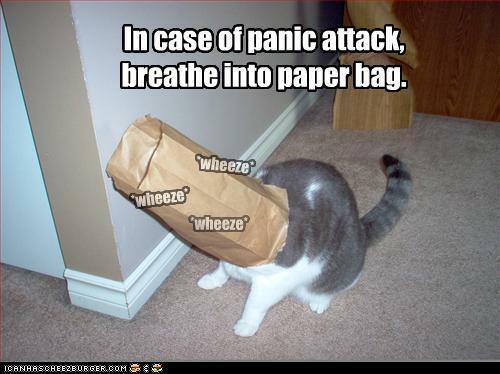 But first, they have to find a certain cat, Grimalkin. Unfortunately, the exiled Muse Queen comes to call in a favor from Prince Ash. She asks for them to sneak into the Summer Court and steal back her "Violin," which was apparently stolen from her by none other than the Summer Queen herself. In the midst of all this, Puck finds himself with the dilemma of betrayal. This little mini-quest comes complete with action and comic relief and will be sure to have you wanting more! I can't wait for their complete adventure in the next installment The Iron Knight! One brilliant Goodfellow prank, coming right up. Summer's Crossing is hilarious. Painfully hilarious. This make me want to be team puck. AGAIN. Well, I always side in the OBVIOUS end up love team but in Iron fey series I’m confused. And after reading this little novella I can’t help but to feel sorry for Puck. He’s hilarious, sweet, prankster, One brilliant Goodfellow prank, coming right up. And after reading this little novella I can’t help but to feel sorry for Puck. He’s hilarious, sweet, prankster, funny and all. But hearing puck's inner thought, I feel pity and just want to hug him and tell him 'hey don’t worry I’m here". It is funny but true. He hide he's true feeling to all but himself. He's been loyal to Megan and Ash even it hurts him. Aw! Can I just say, I am a sucker for any kind of novella or excerpt that brings unique character perspectives or unseen action. When I read first-person novels, I CRAVE hearing the thoughts of other characters (especially the love interest!). 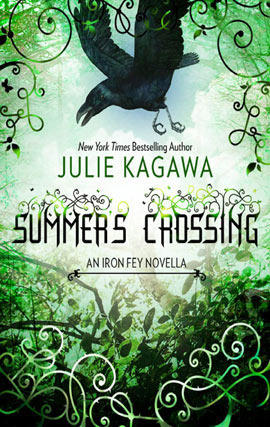 Naturally, when Julie Kagawa announced Summer's Crossing, a tale told from Puck's perspective, I was beyond excited. I downloaded the book at midnight but forced myself to go to bed so that I could slowly savor every word the next evening. What thrill to again Can I just say, I am a sucker for any kind of novella or excerpt that brings unique character perspectives or unseen action. When I read first-person novels, I CRAVE hearing the thoughts of other characters (especially the love interest!). Naturally, when Julie Kagawa announced Summer's Crossing, a tale told from Puck's perspective, I was beyond excited. I downloaded the book at midnight but forced myself to go to bed so that I could slowly savor every word the next evening. What thrill to again immerse myself in this world! Puck is a charming, endearing narrator, and hearing his perspective adds layers to his character. We can see his absolute devotion to Meghan, peek in on his sarcastic thoughts, behold his ingenious schemes, and witness his lethal skills. Although Puck may appear to be a merry prankster without care, Summer's Crossing shows the depths of his character--his loyalty to his friends, his love for Meghan, and his regret over his past actions. And did I mention Puck has mad battle skills? Sometimes I forget that because Ash is the one with the sword, but Summer's Crossing puts Puck's fighting prowess on full display. He's cunning and shrewd playing his pranks, but behind that outer facade is a caring, devoted friend. I can't wait to see where Ash and Puck's adventures take them next! I found myself sobbing every now and then while reading this. I am a Team Ash girl but Puck is one fairy boy I dearly love and respect. And after this I respect him even more. He is one cheeky fairy, prankster and all that, but I think a little of Meghan's humanity robbed off on him. Having him as a narrator, even just for a little bit, was some treat. And Ash! Boy oh boy! How long are you going to make me cry because of you? You know, there's comes a time when you read a book and all you want to do is climb inside the book and stay there. Though I have read books with Faery in them...I haven't really read a book solely based on Fae. I always thought Fairies and Faeries were the same. Not? No, they're not. But this is the first series I've read about FAE and my God, I loved it! I honestly can say that if I was ever given a choice to live in a world or series that I loved, this would be it. I would ask nothing more th You know, there's comes a time when you read a book and all you want to do is climb inside the book and stay there. Though I have read books with Faery in them...I haven't really read a book solely based on Fae. I always thought Fairies and Faeries were the same. Not? No, they're not. But this is the first series I've read about FAE and my God, I loved it! I honestly can say that if I was ever given a choice to live in a world or series that I loved, this would be it. I would ask nothing more than to live in the Nevernever. To experience it firsthand. This has been the best experience I've had reading a series. Every book gets better and every character fills my heart with joy. Puck. Oh how I've loved Puck since The Iron King, even before we find out who he is. Puck. Robin Goodfellow. Robbie Goodfell. I love this boy, faery!! He is truly the glue that holds everything together. In his awesome and witty short book we get to go on yet another adventure...with Ash. Sigh. Oh I needed this. After the Iron Queen, I was so glad to see him again. My heart was somewhat pieced back together. He's on a mission to get his one true love back. And he needs Robin Goodfellow's help to do it. But will Puck oblige?? Well, we first see Leanansidhe approach the boys who's come to collect her debt that Ash owes her. Don't strike a deal with Faeries, they hold you to it and then you're screwed. And possibly turned into a harp or cello. 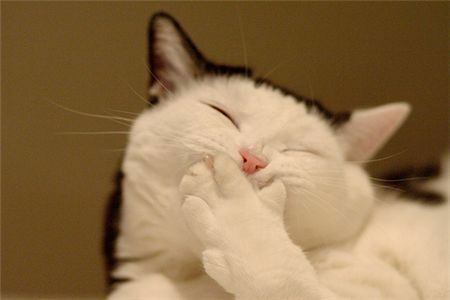 Oh that woman is funny. Although her "yes, darling. Okay darling. No darling it's like this..darling, darling, darling" was getting on my nerves in Iron Queen. I wanted to smack her around a bit. But either way, she's pretty cool for the Exile Queen that she is. So Leanansidhe asks for Ash and Puck to go to the Summer Court to fetch her violin that's been stolen and she claims that Queen Titania is the thief. Well, Ash has no choice being that he owes her anyway but he can't just go waltzing into the Summer Court since he is a Winter Prince and they're pretty much enemies. Puck agrees to help and there they go on this adventure. An adventure of mischief, truths and fun. We get to learn a little more about Ash and Puck's past. They used to be best friends for centuries but it all ended when Ash's love Ariella is killed at the hands of Puck. Ash never forgave him and through out the series they quarrel and talk repeatedly about killing each other. It's quite humorous actually. Their banters are nothing short of awesomeness and hilarity. But now, they are both in love with the same girl...Queen Meghan. Will Puck help his former best friend get the love of his love back or will his jealousy for wanting the same thing get in the way? I gotta say, I was so excited to get inside Puck's head and sort through his feelings a bit. I truly love Puck. Even though there was never really a love triangle, because let's face it...Meghan always wanted Prince Ash. Who wouldn't? Even in his icy hardened exterior state Ash was nothing but amazing. She knew she wanted him since the moment she met him. It was no secret. It just took time and patience as well as understanding of his past to get through his defenses. And when he let his guard down HOT DAMN, he was to die for. But Puck was always important to Meghan. In Iron King, in the very beginning, he was Robbie Goodfell, her mortal best friend. Until things started happening and he introduced her to the world of Faery. But still, she always loved him. Spent 16 years being his best friend and they shared so much together(though it wasn't elaborated that much) but it wasn't the same kind of love he had for her. I felt really bad for him because he is one secondary character from a series I truly felt connected to. He was perfectly described and perfectly developed. He was just perfect. I loved his sense of humor the best. He could make you laugh even when you were crying your eyes out. Oh man, like the last thing he said to Meghan in Iron Queen before he left her I cried my eyes out...and then sorta laughed at what he said...but then started bawling again. He's the best friend anyone could ask for. There was never a time when Meghan needed him that he was not there, even though his heart was broken. If it came down to it, he would die for her I think. He's just that awesome and caring. As much as I love Puck though, I am glad she loves Ash. But I loved this novella. I loved getting in his head and seeing a different side to Puck that he keeps hidden. It was refreshing and fantastic, albeit a little short for my taste. But nonetheless, it was incredible for what I did get. I'll always love this damn series. It's embedded in my damn brain and I'm a little on the obsessed side. But that's because Julie Kagawa paints such a vivid and incredible picture of this magical world in every single book. So that's not my fault. I love both the Summer and Winter Courts and the Nevernever. All of it. Thanks so much for writing this novella, from one of my favorite character's POV. FUNNY as hell and a bit sad, too. Puck is probably my favorite character in this series and the relationship between him and Ash is one of my favorite things about these books. This novella is AWESOME. And it's written from Puck's POV, so you can be sure to laugh out loud. Puck and Ash going on an adventure together? Perfect. And hilarious. When Puck was thinking about Meghan, though, I just wanted to go to the stupid Nevernever and give him a hug. "Because. He fell in love with my princess." This novella was super fun and awesome and now I can't wait to read the next book in the series. "I loved my princess and I wanted her to be happy. Even if her happiness meant she was with someone else. Even if that someone else as my arch rival. I wanted her to be happy." Puck is that annoying best friend that you constantly want to strangle, but couldn't imagine life without. I always really loved him in the previous books and I really enjoyed seeing his POV in this short novella. Despite Ash and Meghan's epic love, Puck will always be waiting in the wings for her, ready to be there as he "I loved my princess and I wanted her to be happy. Even if her happiness meant she was with someone else. Even if that someone else as my arch rival. I wanted her to be happy." Puck is that annoying best friend that you constantly want to strangle, but couldn't imagine life without. I always really loved him in the previous books and I really enjoyed seeing his POV in this short novella. Despite Ash and Meghan's epic love, Puck will always be waiting in the wings for her, ready to be there as her best friend even though he's madly in love with her as well. Meghan isn't in this novella, only mentioned, and it really develops the bromance between Ash and Puck. They go on a mini quest to fulfil a deal Ash made with Lea, and Puck is given an opportunity to get rid of his competition for Meghan's heart. I didn't think I could love Puck anymore than I already did but this novella totally proved me wrong. I love how it's all from his point of view - it was like the cherry on top! I love reading about him because he is just way too funny - especially compared to the boring lovebirds Ash and Meghan. I wish I got more from this novella, like I wanted more from Ash's novella. WHY DO NOVELLAS ALWAYS LEAVE ME WANTING MORE?!?! Because novellas are cruel. "You are what I never knew I always wanted..."
"Those who like me, I'm gonna be your hero and those who don't, I'm gonna be your worst nightmare"
"Smile... It's easier than explaining why you're sad"
"Nobody really cares if you’re miserable... so you might as well be happy..."
"Sometimes I find myself faking a smile just to get through the day..."
"I try to laugh about it, cover it all up with lies. I try to laugh about it, hiding the tears in my eyes..."
"Everyone keeps asking me if I’m okay?! What am I suppose to tell them? Even though I’m really dying on the inside..."
"Behind my smile is a hurting heart...Behind my laugh...I'm falling apart... Look closely at me and you will see, the boy I am...isn't me..."
"There are moments in my life that I’ll always remember, not because they were important, but because you were there..."
Oh. My. Goodness. I am sooo excited! Now, normally, I am not one of those people that goes nuts over novellas, but after Iron Queen left me practically crying and totally shocked, I just HAVE to read this because for starters it's from Pucks point of view, and he's like my comedic hero, and two it's moving on in the story and not replaying past events so I can learn more about what's happened since Queen! :D Yesss!! Alright, so here's my actual r Oh. My. Goodness. I am sooo excited! Now, normally, I am not one of those people that goes nuts over novellas, but after Iron Queen left me practically crying and totally shocked, I just HAVE to read this because for starters it's from Pucks point of view, and he's like my comedic hero, and two it's moving on in the story and not replaying past events so I can learn more about what's happened since Queen! :D Yesss!! I guess I marked off a star because, well, it was short, so I did feel rushed at points where things could have been a little slower, but it's a novella, and I know that was expected. This short story was brilliant! It was Puck and Julie Kagawa’s Iron Fey series at it’s very best. It incorporated everything that makes things series so brilliant—beauty, humour, adventure and captivated me from the very beginning! It was so nice getting a tiny glimpse into the crazy inner workings of Pucks mind. While I’m still an Ash girl all the way, there’s something I love so much about Puck. He’s naughty and mischievous and just outright fun. While I’ll never want Megan to be with anyone but Ash, I’m glad for Puck in this series and I love that he’s just a good, loyal friend to her. Of course my only issue with this story was that it’s wasn’t long enough. Not that it could ever be....I always hate it when these books end because I want them to go on forever. This was a great little adventure and it’s whet my appetite for The Iron Knight so much more. I’m looking forward to the final book even more than I thought possible and cannot wait to see how Megan, Ash and Pucks story ends! This was an okay story, but I did find it dragged a bit. I also found it a bit weird that Meghan wasn't in this story at all really! Ash and Puck working together was so entertaining. In the end I thought Puck is really going to betray Ash. Can't wait to read The Iron Knight. Summer's Crossing has an absolutely beautiful cover. It's green, tying in to the Robin theme since he is always wearing green. It also incorporates vines, Julie's favorite thing obviously because they are on every cover. Except, you can tell it's a novella because Meghan isn't on the cover and it has an animal on it, just like Winter's Passage. It's original, like each cover but it has it's own personality as well. I have to say that Julie Kagawa's books have the best covers for a series - they are cohesive and personal at the same time. Getting to hear Puck's inner thoughts won me over. He is brilliant, in a crazy kind of way, but the best people are a little crazy, I mean look at me :). Then, on top of that, he obsesses over Meghan in his mind; he refers to her as my princess and says how he would've been everything for her...I just couldn't resist the protective edge that his thoughts about her took. Then there are his conflicting emotions about Ash; it's like you can tell they were best friends because of how well they know one another. That is Puck's biggest dilemma - helping Ash, which doesn't help him, or don't help Ash and lose whatever it is that they have. That whole fight in Puck's mind made me want to slap Meghan. Okay, maybe not really slap her, but I just couldn't understand why anyone wouldn't love Puck! Yep Ash-aholics may hate me for it, but that's how I feel. I get that Ash has gone through a lot and deserves to be happy, but hey! Puck deserves happiness too! I especially loved this novella because Puck is the best narrator ever. He's quirky and crazy, and awesome. I was laughing and being entertained by his antics the whole time. But beside the humor of it all, there were some serious Puck moments (no really, there were). Puck constantly wonders, Why am I still here?, but I think I know why he sticks around. He sticks around because he knows in the end it's all about Meghan. Her happiness is what drives both of them. That's why Ash doesn't try to kill Puck anymore; because he knows how much that would hurt Meghan, even if she is angry or upset at Robin. I guess it goes to show that a girl can be your biggest problem and greatest happiness....that's what Meghan is to both of them. Which makes me for one, curious about Iron Knight. Really these two on a dashing adventure? It's going to be great. But then my insides feel sad because Puck isn't with Meghan...sigh. I really want to see how Ash gets back to Meghan, or doesn't...which lets Puck get the happy ending...eh? No one? Really? Whatever. *grumbles* Anyway, Julie this novella has brightened my day and has been a joy to read. Julie, I would like to say thank you from the bottom of my heart for this novella. I don't think I would've been able to survive until the fall because I have this suspicion I will be waiting until October or something, and that's just to long away. It really is! So, cheers to feeding my (ahem, our) inner Iron Fey Series stalker Julie! I really love this book; Puck never fails to make me laugh even if I’m mad (O.O I sound like Meghan). Anyway, by reading this, I can see the POV of Puck between his love triangle with Ash and Meghan. You can see how much he’s suffering, hoping for nothing. He knows Meghan will never return his feelings, but still, he keep hoping, someday that time will come. Isn’t he loyal to her? Nowadays, you’ll rarely see someone as loyal as Puck, but so as the determination of Ash. After reading this, I keep I really love this book; Puck never fails to make me laugh even if I’m mad (O.O I sound like Meghan). Anyway, by reading this, I can see the POV of Puck between his love triangle with Ash and Meghan. You can see how much he’s suffering, hoping for nothing. He knows Meghan will never return his feelings, but still, he keep hoping, someday that time will come. Isn’t he loyal to her? Nowadays, you’ll rarely see someone as loyal as Puck, but so as the determination of Ash. After reading this, I keep pounding over myself, what if Ash didn’t come to their lives? What if Puck already made his move on Meghan? Why won’t he just move on and find someone else better, something that Meghan wants him to do? Why does he keep hoping she’ll return his feelings when ice boy is there? But if the ‘what if’s’ did happen, there’ll be no Iron Fey series and a very dramatic forbidden love between Summer and Winter. Ash said before that once you find the one for you, there’s nothing that’ll come between you and your chosen one. I quickly remembered the imprinting of the wolves in the Twilight series. It’s the same right? Maybe that’s why Puck’s having a hard time to move on for he already ‘imprints’ himself to Meghan for many years. I have always love forbidden loves. Take Percy and Annabeth from the Percy Jackson and the Olympians series. Their godly parents were ancient enemies but still they found a way to be together. Also Sadie and Anubis from the Kane Chronicles series. The other is a god, but still they found a way (I suppose. I haven’t read the last book yet and am hoping to be able to read it soon! I’m dying to know who Sadie chose! I really wish it’s Anubis! **cross fingers**). What can I say, Puck is one of my favorite characters. He is so much fun and I’m never quite sure what the trickster is going to pull next. That was especially true in this novella set right after The Iron Queen. Puck loves Meghan, Ash loves Meghan but she only has eyes for Ash. However if he wasn’t in the picture could she grow to love Puck. When given an opportunity to betray Ash and maybe win Meghan’s heart what will the Trickster do? Honestly I wasn’t sure myself until the end. I really liked What can I say, Puck is one of my favorite characters. He is so much fun and I’m never quite sure what the trickster is going to pull next. That was especially true in this novella set right after The Iron Queen. Puck loves Meghan, Ash loves Meghan but she only has eyes for Ash. However if he wasn’t in the picture could she grow to love Puck. When given an opportunity to betray Ash and maybe win Meghan’s heart what will the Trickster do? Honestly I wasn’t sure myself until the end. I really liked this novella and wish I would have read it before The Iron Knight, because then I would have understood Puck’s motivations to help Ash so much a little better and how he came to terms with Ash and Meghan being together that he would travel to the End of the World to help. This is a funny story with tricks played on 2 Queens as Puck and Ash sneak into the Summer court to retrieve something that Titania has stolen. Definitely worth a read if you enjoy the Nevernever. Ah, there is nothing like going back into Julie Kagawa's world, even if it's only for a short while. I adore Puck! As much as my heart belongs to Ash, these books just wouldn't have the same measure without the wit and humor our Puck has so this was a real treat to have this in his pov. Loved it. Want more. Always! Bu serinin novellalarını ana kitaplarından daha da fazla seviyor olma ihtimalim var sanırım. Meghan'ın olmadığı bir kitap da ancak bu kadar harika olabilirdi. Puck'ın gözünden okumak da paha biçilemezdi. Ve "güya" ben Puck'ı pek sevmezdim. In this short but certainly sweet and teasing story, Ash has to fulfill the favor he made with Leanansidhe, and in order to do so, he had to ask for help from the most unlikely of friends, or maybe you can say enemy both in courts and for Meghan, no other than Robin Goodfellow, and pull off a prank right into the heart of the Summer Court. It was nice getting into Puck's head once in a while. Readers get to take a peek on what is going on through that playful mind of the most famous trickster in the Summer Court as the whole story is written in Puck's point of view. Readers who think that Puck is not getting enough "screen time" in the first three books of The Iron Fey series are in for a treat in this e-novella. Puck has certainly gained more depth, and readers get to understand more of Robin Goodfellow in Summer's Crossing. We get to know more of his feelings for Meghan, his friendship with Ash. Readers get to know what he feels, what he thinks, the truth, for once, without having him hide it all in a facade of happiness and pretense. He might be a prankster but deep down he's still a boy, with feelings and thoughts about a lot of things. Truthfully, hearing Puck's side of things makes me wonder what could have been if Meghan chose Puck instead of Ash. If anything, Puck's choices in this book just made me feel proud of him. That despite him being such a prankster, he is loyal and whatever has been said & done between him and Ash, they are still friends. He finally realized that Meghan can never be his, and the temptation of the offer Oberon gave just made him realize what he should do. Ash is being his usual icy prince self, but the Unseelie Prince will steal a few more hearts with his somber, quiet personality as this book also introduce us to the start of his quest to get Meghan back, and believe me, nothing can stop the Ice Prince from doing it. Not even Puck. I cleared my calendar so that I could devour Summer's Crossing the moment it was released!! This little e-novella was a fun little read that, as we were warned, would be told from Puck's perspective, and would involve a great deal of shenanigans brought to you by who else but Puck! At the end of The Iron Queen, Ash vowed that he would find a way to be with Meghan again... and Puck decided to go along for the ride. Their first order of business was to find "a certain cat" (Grimalkin). But before the guys embark on their journey, Leanansidhe has a little detour planned for them first. Ash had previously bargained a favour with the exiled queen, and she has decided to cash it in now. The favour involves going into the Summer Court, which the winter prince cannot do without Puck's help, to retrieve something that Titania stole from Leanansidhe. Woven into this witty little side-story is the fact that Puck has not totally checked his feelings for Meghan at the door. Deep down -- even though he knows Ash makes her happiest -- what he wouldn't give to be in Ash's place, or better yet, maybe have Ash totally out of the picture. Being tempted to do just that is the heart of the story. Can their contentious friendship survive this? Will Puck do the right thing? Summer's Crossing served to pacify me just a bit for the bigger event, The Iron Knight, which came out last October. It was fun getting into Puck's head... getting a glimpse of what his true feelings are behind his silly antics. Ash remains quite solemn, but I think he secretly likes the company, however annoying said company is. I will always have a soft spot for Robin Goodfellow, but I am still totally devoted to Ash. i was actually so happy when Ms. Kagawa will make a novella that is told from Puck's POV! I am a solid Team Puck even though Ash is so charming and lovable and sensitive in The Iron Queen i never ever switched to his side. so what to expect from Puck? of course we all get the perception that Puck is this Happy go lucky guy who always pulls up some pranks and tricks and always defies King Oberon's rules BUT did you ever see the heart broken side of Puck? kinda hard to believe but yes, in this nov i was actually so happy when Ms. Kagawa will make a novella that is told from Puck's POV! I am a solid Team Puck even though Ash is so charming and lovable and sensitive in The Iron Queen i never ever switched to his side. I have been a little too obsessed with this series and right after I had read The Iron Queen I was just itching to read something else but The Iron Knight hadn't come out yet! Oh gosh what is a girl to do, right? Well thankfully Kagawa wrote this, it's available for free here. This time around the novella centers on Puck and Ash. Ash must pay back a favor and what you know Puck is the person to help him out. It was fun to see things from Puck's perspective. The style is much more light and funny I have been a little too obsessed with this series and right after I had read The Iron Queen I was just itching to read something else but The Iron Knight hadn't come out yet! Oh gosh what is a girl to do, right? Well thankfully Kagawa wrote this, it's available for free here. This time around the novella centers on Puck and Ash. Ash must pay back a favor and what you know Puck is the person to help him out. It was fun to see things from Puck's perspective. The style is much more light and funny from his view. It's reassuring to see that the author has a good feel for her characters. As the reader we get to see Puck in his element, which is when he is causing trouble. Though these short stories are fun I can't love them as much as the books because they are well...too short. But it was definitely nice to read about these characters for just a tad bit longer. I believe this story sets up the next book very well. In the final book we are going to be seeing lots of interaction between Ash and Puck, so this gives us a little taste of what is to come. This review has been hidden because it contains spoilers. To view it, click here. PUCK was AWESOME!!!! I cannot possibly conceal my joy at reading this ebook from Julie Kagawa. Summer's Crossing bridges the gap between the The Iron Queen and The Iron Knight and is in Puck's POV which was absolutely hilarious :) It continues the adventure of Ash and Puck but before they actually start looking for Grimalkin, Leanansidhe comes to collect her favour from Prince Ash. Their travels to Arcadia is really entertaining with Ash and Puck always annoying each other (wouldnt be as good if t PUCK was AWESOME!!!! Summer's Crossing bridges the gap between the The Iron Queen and The Iron Knight and is in Puck's POV which was absolutely hilarious :) It continues the adventure of Ash and Puck but before they actually start looking for Grimalkin, Leanansidhe comes to collect her favour from Prince Ash. Their travels to Arcadia is really entertaining with Ash and Puck always annoying each other (wouldnt be as good if they hadn't)I love when they are together. This did suppress my NEED for The Iron Knight a little (not so much really).But im still dying for it though. And may i say that Puck is the best trickster ever? Aunque amo a Ash locamente. Puck simplemente me encanta. Verlo ayudar a Ash sin importar eso signifique que no podrá tener ninguna oportunidad con Meghan, me hace quererlo aun más. Es ocurrente y divertido, y aunque es cruel que solo sea el mejor amigo, espero que también tenga su final feliz!